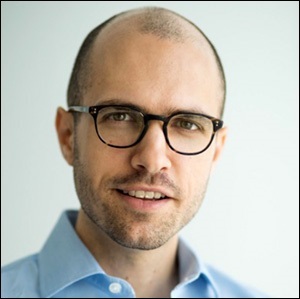 On Monday, 37-year old Arthur Gregg (A.G.) Sulzberger took the helm as the new Publisher of the New York Times, succeeding his father, Arthur Ochs Sulzberger Jr., whose tenure in the post lasted for the past quarter of a century. A.G. has previously held positions at the Times as metro reporter, national correspondent, associate editor for strategy and deputy publisher. He marked the occasion of becoming the fifth generation of his family to assume the mantle of Publisher by invoking his great-great grandfather, Adolph Ochs, who promised readers he would “give the news impartially, without fear or favor, regardless of party, sect, or interests involved.” A.G. then added his own 900-word promise for “independent, courageous, trustworthy journalism” on his watch. Wall Street On Parade has a unique basis on which to test the sincerity of A.G.’s promise for “truth.” For the past five years Wall Street On Parade has requested that management at the New York Times correct the extraordinary, non-factual reporting it has published on the relationship that the repeal of the Glass-Steagall Act had on the epic Wall Street collapse of 2008, which resulted in the most devastating economic crisis since the Great Depression. The New York Times has good reason to be defensive about the Glass-Steagall Act repeal in 1999. It was one of the major cheerleaders for the repeal. The 1933 Glass-Steagall Act was passed by Congress at the height of the Wall Street collapse that began with the 1929 stock market crash, the insolvency and closure of thousands of banks, followed by the Great Depression. The legislation tackled two equally critical tasks. It created Federally-insured deposits at commercial banks to restore the public’s confidence in the U.S. banking system and it barred commercial banks that were holding those insured deposits from being part of a Wall Street investment bank or securities underwriting operation because of the potential for high risk speculative trading and losses to render the taxpayer-supported bank insolvent. The Glass-Steagall legislation protected the U.S. banking system for 66 years until its repeal under the Bill Clinton administration in 1999 at the behest of Wall Street and its legions of lobbyists. It took only nine years after its repeal for the U.S. financial system to crash, requiring the largest public bailout in U.S. history. ‘Let’s look at the facts of the financial crisis in the context of Glass-Steagall. ‘The first domino to nearly topple over in the financial crisis was Bear Stearns, an investment bank that had nothing to do with commercial banking. Glass-Steagall would have been irrelevant. Then came Lehman Brothers; it too was an investment bank with no commercial banking business and therefore wouldn’t have been covered by Glass-Steagall either. After them, Merrill Lynch was next — and yep, it too was an investment bank that had nothing to do with Glass-Steagall. The situation today is that the serially charged JPMorgan Chase and Citigroup, Weill’s Frankenbank, continue to own two of the largest insured commercial banks in the U.S. – Chase and Citibank. They are also two of the largest derivative dealers, housing trillions of dollars in high risk derivatives, the instruments which played a major role in blowing up Wall Street in 2008. According to a 2015 report from the U.S. Treasury’s Office of Financial Research, those two banking institutions now pose the greatest interconnected risk to the U.S. financial system, which reaffirms the need for the restoration of the Glass-Steagall Act. In May of 2015, after an endless stream of dangerous trading scandals at both firms, the two banks admitted to criminal felony charges involving the rigging of foreign currency trading. If A.G. Sulzberger is sincere in his promise to publish the truth and the facts, he will immediately correct and acknowledge the gross errors in Andrew Ross Sorkin’s piece and issue an apology for making the American people wait this long. We will be writing to him today and asking him to do just that.